Stop in for fresh cut trees, wreaths, roping and grave blankets! Annuals complete their life cycle in one growing season. Annuals come in many varieties and colors and tend to bloom all season long. They are perfect for pots and containers and for gardeners who enjoy a change from season to season. Enhance your deck, patio or porch with a beautiful hanging basket. Hanging baskets for spring, summer and fall. Perennials come back year after year and are wonderful additions to any landscape. Perfect for designing permanent garden displays. Available in endless varieties that bloom at different times of the year. Fresh cut Christmas trees! Choose from hundreds of top quality trees at great prices. Plus hand decorated wreaths, grave blankets and roping. All of your holiday decorating needs! 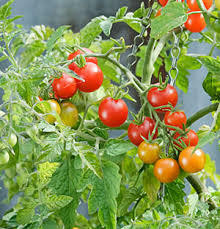 Planting a vegetable garden is easy and fun. From tomatoes to zucchinis you will find it all here. Plus a variety of herbs to give your dishes the perfect flavor! Visit us in September and October for a huge selection of hearty mums in a variety of colors. 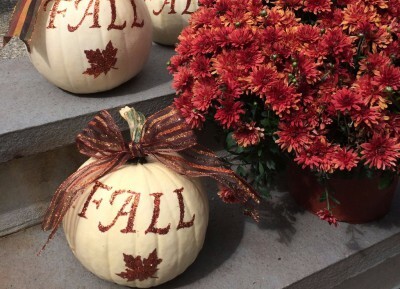 Decorate for Fall with pumpkins, corn stalks and hay bails.